Prior to John’s current role overseeing the management of the Trondage Portfolio, John was also the Development Manager for Retail First overseeing the successful rollout of Development Projects worth over $250m across the Portfolio. John’s experience spans across both the Property and Retail Sectors working as a National Property Manager for Domino’s Pizza Australia, Managing Director of Eyewear Now, a Centre Manager of Regional Shopping Centres within Brisbane and the Gold Coast and a Portfolio Manager for ING Centres throughout Australia and New Zealand. 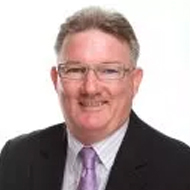 John also holds a Real Estate Agents License, supported by a significant wealth of knowledge and hands-on experience within the Retail First team.